There is an increasing alienation of the people who live in Andasibe from the forests that surround them. 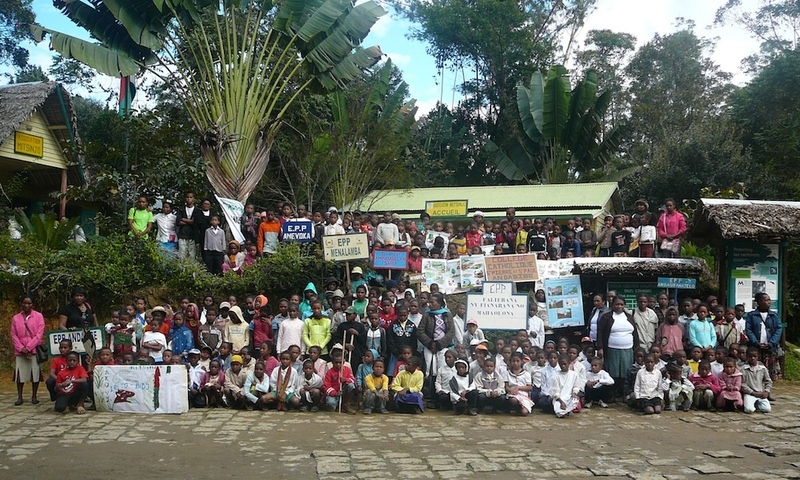 While busloads of foreign tourists arrive to visit the surrounding protected areas in Andasibe daily, many children never enter the forest and regrettably have little to no knowledge of the importance of these unique natural systems. Mitsinjo is working to change this. Some of our students at Mitsinjo’s office at the end of the 2014 school year. We bring students from the ten Primary Schools in the Commune of Andasibe to Mitsinjo Park to experience nature in a way they may not have had the opportunity to before. Students show off some of their work in front of the class. To compliment these trips we conduct an Environmental Education curriculum at each Primary School four times per month, reaching more than 300 students annually. Our team of instructors carry out activities, games, and group work that highlight the connection between people and the environment. However, it isn’t just about the environment. The ten Primary Schools in the Commune of Andasibe are understaffed and underfunded, with some schools having as few as 3 teachers for more than 250 students. 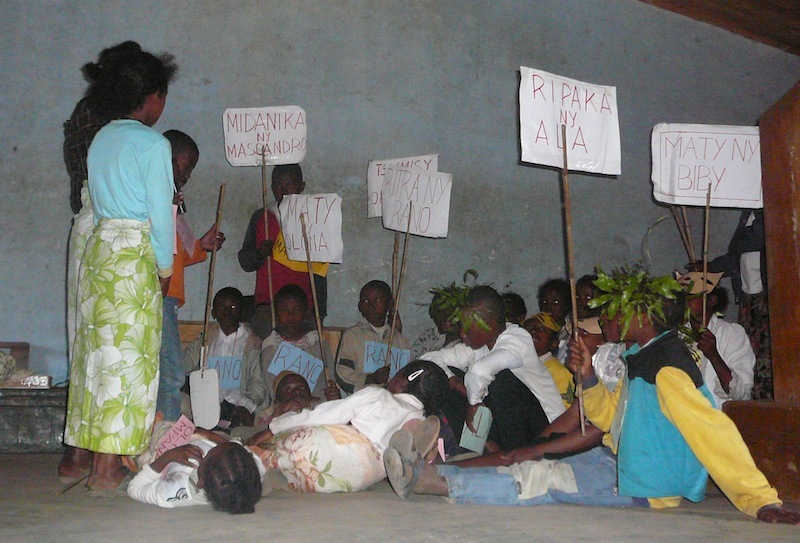 Students participating in an activity that highlights the interconnected ecological processes of Andasibe’s natural areas and the people who live here. Mitsinjo’s Environmental Education curriculum gives students valuable time with quality teachers, an experience they may not have otherwise. The activities are prepared in collaboration with the district school authorities. 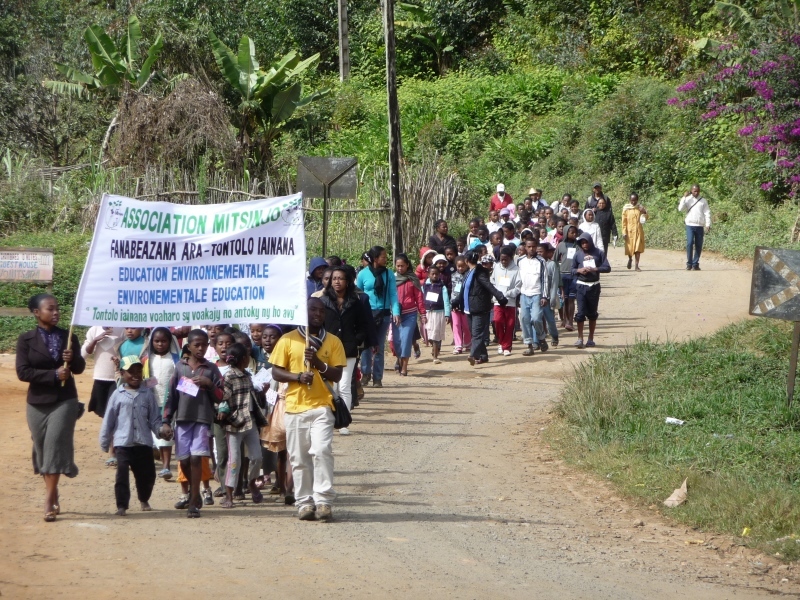 Environmental education is part of the teaching program in primary schools in Andasibe. Nowadays, we also work with teenagers. Every year, the environmental education team of Mitsinjo participates in the Indri Festival to raise people’s awareness about environment, specially about the Indri Indri. 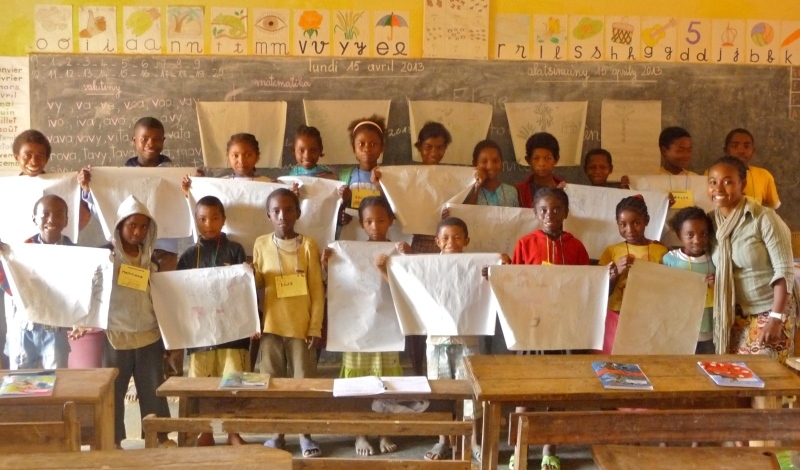 A team of 12 Mitsinjo instructors run our Environmental Education program. Like all of our projects, our Environmental Education curriculum is carried out by members of the community. In this way we not only provide information to students, but also serve as role models from Andasibe for children to look to as examples of stewards of the environment. Mitsinjo’s instructors lead a parade of students through the village to end the school year. Most of our instructors also work as tourist guides and research assistants and have developed a unique understanding of both the ecological processes in the forests around Andasibe and how they affect the lives of the people who live here. Our Environmental Education Center is located near the entrance of Mitsinjo Park and serves as a location for staff to conduct programs with the public. There are two big rooms, one for environmental education classes and the other for the frog exhibit. The frog exhibit allows visitors to view the species kept at Mitsinjo’s conservation breeding center. Students from local schools also use the space to take part in courses in conservation and the environment. The teaching programme includes interactive educational games, practical learning activities and visits to the surrounding Mitsinjo forest. The important ecological role which the frogs have in Andasibe is a central theme of the course. Mitsinjo wishes to generate sense of responsibility among the young for the conservation of biodiversity. In addition to environmental education classes, sensitisation and ecotourism sessions for the community are held in the center with the aim at connecting people to the forests they live near. The frog exhibit – Mitsinjo Public Terrarium – contains four large terrariums, each for one species. The species on view are: the Golden Mantella (Mantella aurantiaca), Betsileo Madagascar Frog (Mantidactylus betsileanus), Boophis Pyrrhus, Sambava Tomato Frog (Dyscophus guineti) and tadpoles of Mantidactylus betsileanus. At the exhibit, there is information about each species. The frogs are taken care of by our frog technicians. They share their specialized knowledge of amphibians to students from local schools during environmental education classes. The technicians are also glad to present the center and its inhabitants to visiting tourists. The entrance fee partly benefits Mitsinjo members. Most of the money is reinvested to activities in the environmental education center and to other community activities carried out by Mitsinjo.